Sh. V. Kalyana Rama is the youngest to become Chairman & Managing Director of Container Corporation of India Ltd. (CONCOR), a Navratna PSU under Ministry of Railways. He is a Mechanical Engineer with ICWAI. He is an Indian Railway Traffic Service (IRTS) officer of 1987 batch. He had worked in BHPV & BHEL before joining Indian Railways. Prior to joining Board of Directors of CONCOR as Director (Projects & Services), he held various assignments such as Executive Director, Chief General Manager in CONCOR. He had held various challenging assignments in his career with Indian Railways. He has been professionally trained in Railways and multi modal transport logistics. He was instrumental in development of container depots in South Central and Southern regions of CONCOR. He has been involved in all the developmental planning and operational activities of EXIM and Domestic cargo at the various dry port terminals of CONCOR. He has wide experience in the field of Engineering, System design, Railway & multi modal logistics operations and Project planning and commissioning. Sh. Pradip Kumar Agrawal has taken over the charge of Director (Domestic Division) from 1st July, 2016. He belongs to Indian Railway Traffic Service. He has worked for Indian Railways for more than 17 years on various important assignments, both at Divisional and Zonal Headquarter level covering operations, commercial, marketing and safety of Indian Railways. 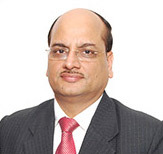 He joined Container Corporation of India Ltd. (CONCOR) in the year 2006 as GGM (Ops)/Western Region, thereafter, worked as Chief General Manager, Western Region for four years. During his tenure, he has successfully managed Container Train Operations for the Region which includes JN Port and various CFSs and ICDs in the Region. 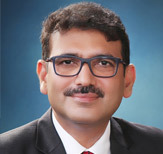 He has also worked as Chief Executive Officer for APM Terminals, Mumbai (GTIPL) for five years before joining as Director (Domestic Division), CONCOR. During his tenure as CEO/GTIPL, he has taken various landmark initiatives towards improving productivity, efficiency and safety of the terminals. He has simplified various operating procedures in the terminal and pioneer in introducing paperless gate-transactions, which was a step towards ease of doing business. The Terminal has also consecutively achieved performance of 2 million TEUs p.a. and recognized as best Container Terminal by the maritime fraternity during last five years. Shri Sanjay Swarup has done his B.E. (Hons.) - Electronics and Communication Engineering from IIT Roorkee and PGDM (Public Policy and Management) from IIM Bangalore. He belongs to 1990 Batch of Indian Railway Traffic Service (IRTS). His 31 year career spans a range of assignments in Public Sector and Government. He started his career in Bharat Heavy Electricals Ltd. (BHEL) and worked there for more than 4 years. Thereafter, he has worked with Indian Railways in various areas like Operations, Commercial, Safety and Information Technology functions. 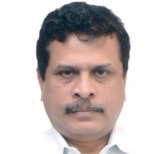 He has worked in Container Corporation of India Ltd. (CONCOR) in various capacities in Operations and Management of Dry Ports, International Marketing, Commercial and Operations at Pan India level. He has rich experience in the design of Dry Ports and Multi Modal Logistics Parks (MMLPs). He is deeply involved in the Strategic Planning function of the Company. He has been trained at Maxwell School of Syracuse University (USA), Antwerp Port, Belgium and at several Institutes in India. Shri Sanjay Swarup has presented number of papers in leading National and International conferences in the areas of Multi Modal Logistics, Dry Ports and Supply Chain Management. He is life member of Chartered Institute of Logistics and Transport (CILT), Asian Institute of Transport Development (AITD), Centre for Transportation Research and Management (CTRAM) and All India Management Association (AIMA). Sh. 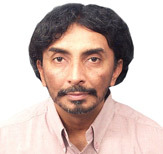 Rahul Mithal is from the Indian Railways Service of Mechanical Engineers (SCRA 1985 Batch). He has had a long stint of more than 20 years in various key positions in Indian Railways. He has a wide exposure of various aspects of Design and Maintenance of Rolling Stock and Handling Equipment and has held various key assignments of Operations and Maintenance in the Railways. In the last 6 years in CONCOR, he has been closely associated with the Planning, Execution and Monitoring of various mega Projects and has played a key role in drafting the Strategic Plan : Vision 2020 of the Company. He also holds the additional qualification of MBA (Finance) from Jamnalal Bajaj Institute of Management Studies, Mumbai and is a Fellow of the Institution of Mechanical Engineers (UK) and a Chartered Engineer registered with the Engineering Council (UK). Sh. Manoj K. Dubey did his under graduation and post-graduation from the Hindu College of the University of Delhi. Before clearing Civil Service in very first attempt and joining IRAS of 1993 batch, he worked with UTI for two years in blazing the trail in the arena of educating and assimilating rural masses into various lucrative schemes of Mutual Funds. He did his MBA at Department of Management Studies of Indian School of Mines, Dhanbad and topped there with specialization in Finance and Human Resources and been conferred the overall Silver Medal for the batch 2011-13 from the then President of India. A recipient of National Award for outstanding service at Minister of Railways level in the year 2011, he has paved the path in Indian Railways in ushering - payment of salaries through Bank to almost hundred percent employees of each Divisions he was associated with, e-Tendering, e-Auction, payment of the contractor/ supplier through RTGS/NEFT, computerization of all bill passing / pension settlement and PF etc. Attained several milestones in systems improvement and contributing phenomenally in operations, incentives and staff posting policy. 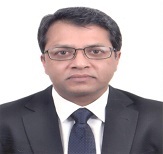 He has vast experience of Train Operations Management and Freight Loading Mechanism having worked as Head of Finance of three major loading divisions of Indian Railway viz., Dhanbad, Asansol and Mughalsarai for nearly fifteen years. 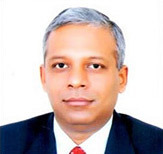 Being entrusted as Director/Executive Director in PPP Directorate and Finance Commercial Directorate in Railway Board for last five years, Shri Dubey has been associated in many prestigious projects like setting up of Loco Factories through PPP/FDI for Indian Railways at Madhepura and Mahrora; has been functioning pivotally in High Speed Rail of Indian Railways, and that in Dedicated Freight Corridor of Railways as key financial advisor to Infrastructure Directorate. He has also developed expertise in Tariff structuring of freight and passenger trains as well as for catering and tourism contracts at strategic level. He has the experience of drafting many Cabinet Notes and has vast experience of International Competitive Bidding for Mega Projects. Shri Dubey was in the Board of Directors of a Joint Venture Company of General Electricals of USA and IR, Alstom of France and IR, and a Joint Venture Company of NMDC, SAIL and Indian Railways. Apart from excelling in professional responsibilities, he has been equally active in the field of Promotion and Administration of Sports as well as Indian Classical Dance and Music. He has been the Manager/ Government Observer in many an Overseas Global Tournament. Sh. 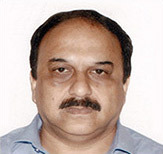 Sanjay Bajpai, Executive Director/Traffic (Co-ordination), Railway Board, an officer of the Indian Railway Traffic Service 1991 batch, joined Indian Railways in 1992. He is a Post-Graduate in Economics from Allahabad University. He has had vast and varied experience in Railway Operations, Commercial working, General Administration. He was also Deputy GM/G and Secretary/GM/Northern Railway as well as Chief Passenger Transport Manager on Northern Railway. He joined as Executive Director Traffic Co-ordination on 1st June, 2016. He has held the key charges of passenger operations, freight operations and general administration on Zonal Railways. Sh. 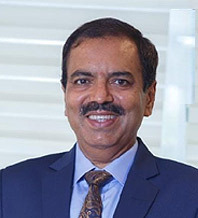 Manoj Kumar Srivastava, Executive Director/Traffic Transportation (Freight), Railway Board, is an officer of the Indian Railway Traffic Service of 1988 batch. He is a Post-Graduate in Geology and has vast experience in Railway Operations, Commercial working and General Administration. He has worked at various senior positions in the Indian Railways which include Dy. COM/FOIS, Dy. 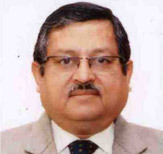 COM/Goods, Sr. DOM at Moradabad, Director (Co-ord), CFTM at Northern Railway and ED/PP and is presently posted as Executive Director/Traffic Transportation (Freight), Railway Board. He has held the key charges of passenger operations, freight operations and general administration on Zonal Railways. Ms. Vanita Seth, a familiar name in the Women Rights oriented work front, hails from Jodhpur, Rajasthan. 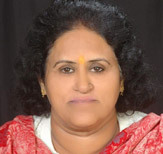 An active member of Bharatiya Janata Party, she is the Former Women President of BJP Women Wing, Rajasthan. Her leadership qualities were utilized in the state for the activities like 'Beti Bachao Beti Padhao' movement. She is a member of a number of organizations like Social Welfare Board of India, Telephone Advisory Board and Devasthan Vibhag, Govt. of Rajasthan. Some of her key roles include providing telephone and internet connection in the remote areas of Rajasthan and also the renovation of many temples in Rajasthan. The holder of a Masters Degree in Political Science as well as in Rajasthani, she had presented her thesis for Masters in Rajasthani. An avid reader, she has herself conducted more than six mock parliaments in various girls colleges across the state. The potential of hers and the mettle have been proven in her fight against social injustice for women and fight for women rights. She is into full-fledged social services from last 15 years and has created a niche when it comes to Women empowerment in rural areas. She has also cleared the Prelims of RAS and is waiting for the signature role to mark her presence in the fields of social and political welfare of women. He superannuated on January 31, 2016 as Secretary to Government of India, Department of Empowerment of Persons with Disability, Ministry of Social Justice & Empowerment. Anjaneya Prasad Mocherla aged 62 years and resides in Kakinada, Andhra Pradesh. He did M. Sc. Statistics from Andhra University and also did MBA Banking and Finance from IGNOU. Acquired professional qualifications like CAIIB and CRB from Indian Institute of Banking and Finance and became Fellow member of the same Institute. 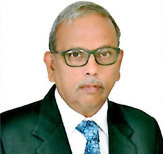 He joined Andhra Bank in 1978 as Probationary Officer and worked in various capacities in various places and further, as General Manager in charge of Mumbai Zone covering Maharashtra, Gujarat, Goa and Madhya Pradesh. In 2011 Ministry of Finance, Govt of India appointed him as Executive Director of Syndicate Bank and he then retired from its service on 30th Nov 2014. He has wide experience as board member and has been actively involved in board deliberations. He has headed various sub-committees of the board. He presided over the Board meetings in the regular vacancy of CMD and had driven the Bank to new milestones of business. At board level, he ensured good corporate governance, compliance to regulatory guidelines and good risk management practices. At operations level he had overseen all functions of the bank like Planning, Branch Expansion, HR, Recovery Management, Balance sheet, Audit and Accounts, Inspection and Credit, etc. He was an active member of many functional committees of the bank, including ALCO, Risk Management Committee, Investment committee, etc. He is interested in banking related subjects and contributed articles to banking journals and BANCON. Post retirement he was appointed as a member of Interview Committee for selection for top management cadre of a PSB. Sh. Deepak Shetty, Independent Director, CONCOR, was a senior career civil servant in the Government of India. He was a direct recruit member of the 1980 batch of the Indian Revenue Service (Customs and Central Excise). He had multiple official assignments in his career spanning 36-1/4 years. In his first central deputation stint, he was the Additional Textile Commissioner in the office of the Textile Commissioner, Govt. of India at Mumbai for 5 1/ 4 years from 1996 to 2001. In his second central deputation term, he had served as the Joint Director General of Shipping and then on a continuum as the Director General of Shipping, Govt. of India, at Mumbai - cumulatively for about 6 consecutive years from 2011 to 2016. He was eventually empanelled and posted as the Secretary to the Government of India - the highest rank in the civil service in India. He had successfully dealt with and resolved numerous international issues, including in global forum such as the United Nations, International Maritime Organisation, INTERPOL, Contact Group on Piracy off the Coast of Somalia etc. He has rich all-round expertise in maritime, law enforcement, legal, crisis management, personnel, human resource development, transparency, business process engineering & automation matters, interalia. He is a highly decorated civil servant, having bagged numerous awards and commendations at the national, regional and international levels, throughout his service career. Illustratively, he is the recipient of the Presidential Award of Appreciation Certificate for a Specially Distinguished Record of Service on the occasion of the Republic Day, 2002, Commendation for Meritorious and Sincere Services Rendered, bestowed on the International Customs Day, 2002 etc. He has also been honoured by the Hon'ble Minister for External Affairs, Govt. of India, Hon'ble Minister for Maritime and Foreign Affairs, Govt. of Seychelles, Director (Maritime Security), INTERPOL, amongst others, for his outstanding contributions to multiple global level issues. Copyright © 2018 CONCOR. All rights reserved.